Muscat variety probably originated in Ancient Greece. 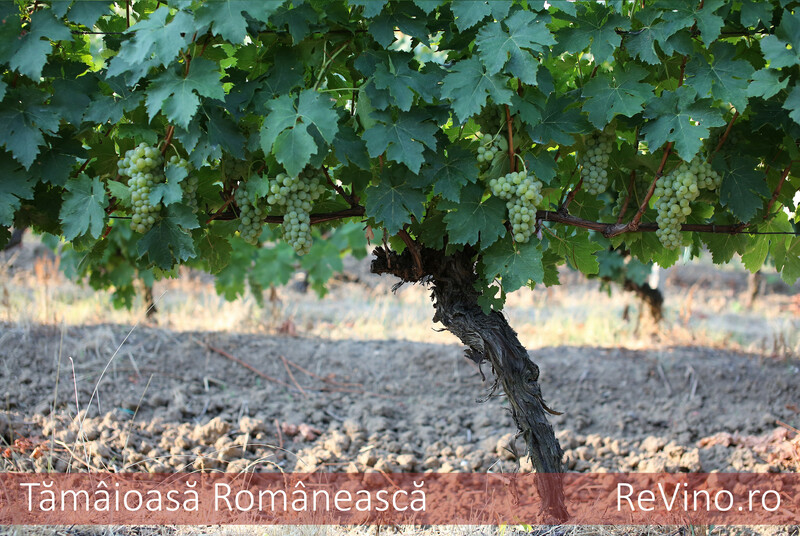 It has been cultivated for at least two millennia in Romania. Ampelographic characteristics: hermaphrodite flower – normal on the type 5-6, middle size leaf - five lobes, long petiole (12-15 cm). Middle size grapes (150-180 g) and cylinder-conical shape; dense grape berries. 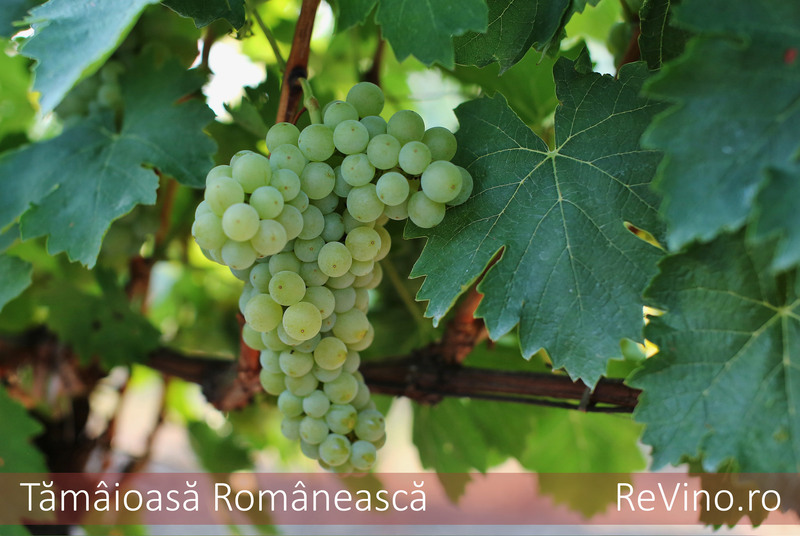 Golden-yellow berries with rust-coloured spots on the sunny part, crispy and intensely aromatic. Middle strength hubs with 100-120 cm middle length sprout. Full ripening of the grapes is done in the first decade of September until the second decade of October depending on the direction of production (dry wine - sweet wines). Tamaioasa Romaneasca loves most long autumns. In this way grapes accumulate 240-250 g/l sugars and by supra-maturating achieve 270 g/l or may even exceed these values. 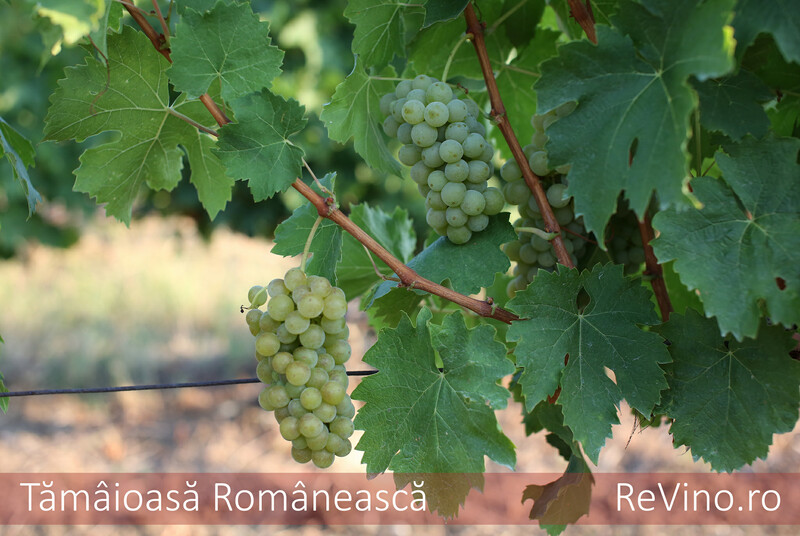 This variety of grapes is sensitive to frost, drought, excess of moisture. It is easy susceptible to powdery and very sensitive to blight and botrytis. Average production of grapes/ha is 8000 kg. These wines, depending on how the wines have been developed, are immediately put into consumption or may be obsoleted a few years. Dry wines are recommended to be served as an appetizer or with salads and spicy specialties of Asian cuisines. Semisweet or sweet wines are recommended to be served with desserts made by fruits and also with no sugary snack in order their taste and value to be appreciated.